Tampa, situated along the shores of Tampa Bay on Florida’s Gulf Coast, is a year-round, family-friendly vacation destination. 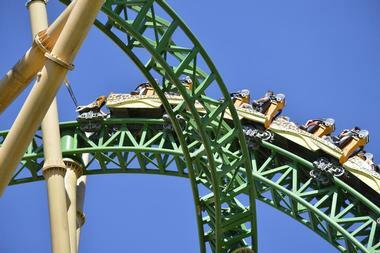 Busch Gardens is probably the most well-known attraction in the area. From Glazer Children’s Museum and Bits-n-Pieces Puppet Theater, to Old McMickey’s Farm, there are many fun things to do in Tampa with kids. 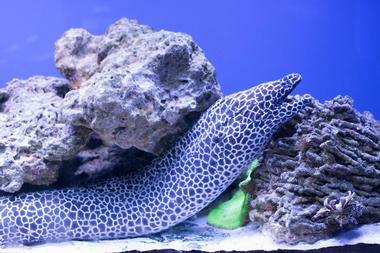 The Florida Aquarium has garnered the attention of publications like USA Today and Parents Magazine. Families journey from freshwater to open ocean habitats at the Aquarium in seven exhibits. There are simulated wetlands in a glass atrium, beaches and bays, coral reefs, and more to explore. Families can explore on their own, or join one of five tours, some leaving the Aquarium and heading out to the ocean. Guests can also participate in an in-water snorkel experience, swim with marine life, or dive with sharks. The Splash Pad is a water play area for kids that’s included in the admission price. A 4D multisensory theater brings short films to life. Zoo Tampa at Lowry Park has been providing animal experiences to families since the late 1930s, and from its present location since 1957. It has been constantly evolving to provide increasingly more authentic animal habitats and human experiences. Those who want to go beyond the usual zoo experience can participate in a number of animal encounters, including with penguins, elephants, and white and Indian rhinos. There are also animal-themed rides, plus a guided safari tour by Africa Expedition Company. Other ways to enjoy the zoo are monthly Toddler Tuesdays for members, Yoga in the Wild events, and a number of other zoo events throughout the year. 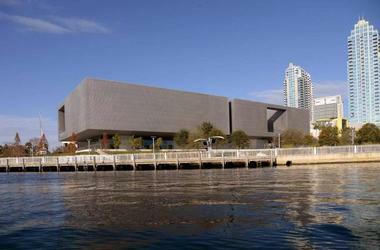 The award-winning Tampa Museum of Art opened its new home in 2010. This museum brings an innovative approach to art from ancient to modern to contemporary. It includes antiquities collections from both Greek and Roman cultures. Exhibitions rotate with something new nearly always on offer. Guests can expect sculpture retrospectives, wood and papier-mâché, monumental landscape sculptures, painted pottery, and other exhibits. The museum also has a café with a covered terrace providing visitors with beautiful views. A museum store has several exhibition-related gifts, museum catalogs, home décor, jewelry, and art books to name a few treasures on offer. Glazer Children’s Museum is where kids get the chance to play with purpose. They connect with their world, discover new ideas, and become lifelong leaders. With 22 exhibits, there is no shortage of scenarios where a child’s imagination comes alive. 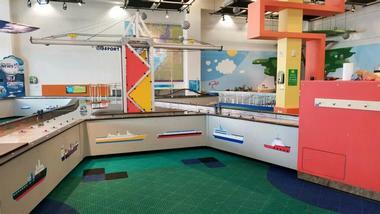 They’ll have fun creatively playing in a farm, cruise ship, bank, firehouse, hospital, and many other exhibits. The museum also offers families special programs like Developmental Checkups for kids three and younger (reserve a time online), Board Free Tuesdays where kids’ admission prices are waived, and bi-monthly Sunshine Sundays dedicated to kids with special needs. The museum is open seven days per week, and kids under a year old are free. Museum of Science & Industry (MOSI) has over 100 hands-on activities making it the ultimate scientific playground. Guests can build a robot, solve a brain puzzle, explore a lunar colony, or peek into the future with emerging technologies. 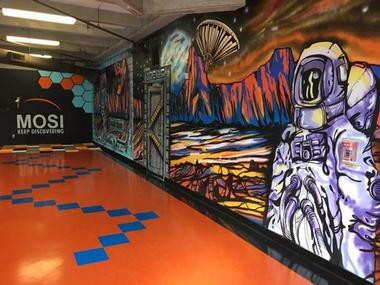 Permanent exhibits include A Look Inside about the human body, Connectus with futuristic innovations, NASA’s Mission Moonbase, Idea Zone – a makers’ space, plus I Wonder, The Saunders Planetarium, Sky Trail Ropes Course, and Virtual Reality Simulator. A visit to this museum could easily be the most fun kids have on vacation. General admission for kids is under $10, although the Planetarium and Ropes Course are a small extra fee. 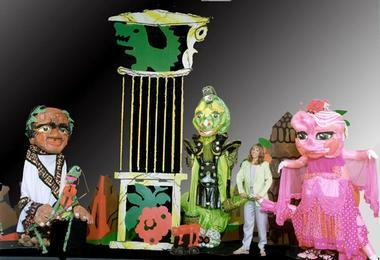 Kids can experience the fascinating art of puppetry with Bits-n-Pieces Puppet Theatre. Performances of classic morality tales both entertain and teach young theater-goers at PuppetWorld Playhouse, the troupe’s home theater. Many of the shows are with small puppets, but giant puppets perform Three Billy Goats Gruff, Princess Thimbelina, Rip Van Winkle, and Aesop’s Dinosaur Fable. Got No Strings Interactive Exhibit is a 5,000-square-foot exhibition where guests will see many of the theater’s giant puppets, plus be able to explore a giant puppet under construction and examine its moving parts. Check the website for the latest Tampa Bay performances. Children two and under are free. 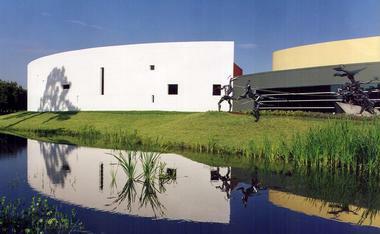 The artist in the family will appreciate a trip to The Dunedin Fine Art Center in Tampa. 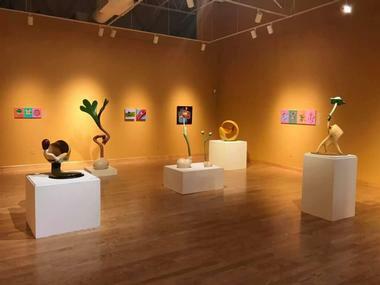 The Art Center has fascinating exhibits like the watercolors of Jack Ellis, a local art legend, or the One Day Tampa Bay community photographic exhibit on offer to guests. But, the spirit of the Art Center focuses on providing art classes for preschoolers through adults. Nearly 20 classes are designed specifically for children with themes as diverse as drawing, cooking, clay sculpting, and storytelling. Teens also have a plethora of classes to explore their artistic sides, including Characters of Anime and Manga, Goth: The Drawing Class, Teen Darkroom, and Get Down to Painting. Tampa Electric Manatee Viewing Center was born from the discharge canal of the city’s power station. Because this clean Tampa Bay water was used to cool a power unit, it warmed before it released back into the bay via the canal. Manatees naturally began converging in the warm water during cold weather. 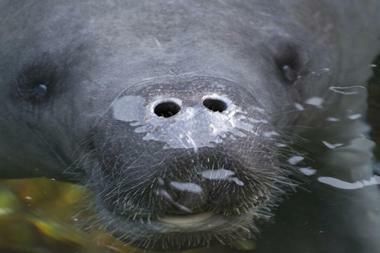 Now, the discharge canal known as Big Bend is a designated manatee sanctuary with state and federal protections. Highlights of the Viewing Center include an environmental education building with numerous displays, award-winning butterfly gardens, a tidal walk, a manatee habitat loop trail, and a wildlife observation tower. Big Cat Rescue is a sanctuary for rescued big cats. 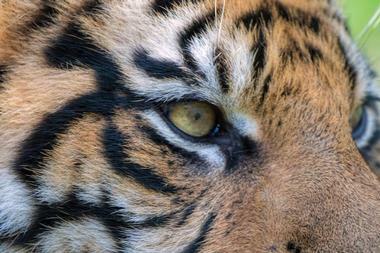 The organization rescues big cats from abusive situations and when they’ve been abandoned. Big Cat Rescue not only offers a sanctuary to the big cats, but it works tirelessly to end big cat trade and private possession via education and legislation. 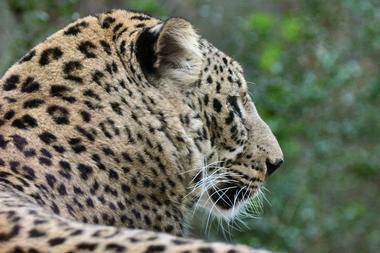 Cats at the sanctuary include jaguars, leopards, lions, tigers, bobcats, lynx, caracals, cougars, ocelots, Savannah cats, servals, and Siberian lynx. There are several types of tours available that must be reserved and prepaid online, including a Kids Tour and a Feeding Tour. Other than the Kids Tour, most tours are limited to guests 10 and older. Busch Gardens is a wildly popular Tampa theme park that features 10 African zones, each with its own animal encounters, rides and roller coasters, and shows and entertainment. The best approach to the park is to plan ahead choosing must-see shows and favorite animals and rides before arriving at the park. For example, Egypt zone has an 80-foot snake animal encounter and Montu roller coaster – the world’s longest and tallest inverted coaster. Serengeti Plain has hundreds of animals, a train, a gondola, and an up-close animal experience from a safari truck. Vacationers will want to check the website for upcoming events as well. Children under three are free. 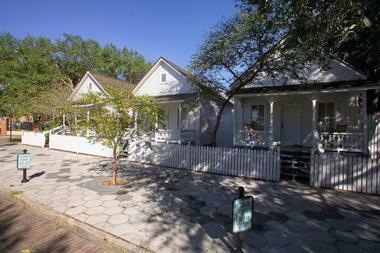 Ybor City Museum State Park is Tampa’s “Barrio Latino,” a celebrated National Historic District dedicated to immigrants who settled in the neighborhood. The urban park preserves the cultural heritage of Ybor City, built around the cigar-making industry. From its first cigar factory founded in 1886 to the 1930s, this neighborhood came to be known as the “Cigar Capital of the World.” Historic Ferlita Bakery is home to the museum that explores the cultural history of cigar making and of the Ybor City community. Self-guided tours of multimedia exhibits are available daily, and guided tours are available Wednesdays to Sundays. An adjacent cigar worker’s house is also open for touring. Lettuce Lake Conservation Park is one of Tampa’s favorite places to get outdoors and experience nature. 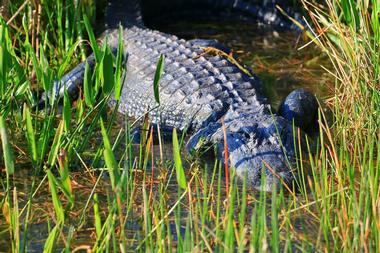 Visitors can expect pine flatwoods and hardwood hammocks plants, plus an intriguing hardwood swamp forest. There is a 3,500-foot-long boardwalk and observation tower, and a 1.25-mile exercise trail that’s paved. Guided nature tours are scheduled on weekends, and kayak and canoe rentals are available for independent explorers. Gliding silently through the water is the perfect way to have an unexpected, up-close encounter with wildlife and aquatic birds. Park amenities include barbecue grills, picnic shelters, a Visitor Center, children’s playground, restrooms, a boat launch, and hiking trails. Tampa Bay Automobile Museum presents vintage automobiles that demonstrate forward-thinking engineering. Each car was selected for its engineering impact on the evolving automotive industry. Visitors will see nearly 70 autos from a 1981 British Delorean to a 1965 American Ford Mustang AWD – the only one ever produced to a 1953 French Talbot Lago T 15 Q L 6 – also the only one of its kind. The museum’s collection of cars demonstrates avant-garde automobile technology from each car’s era. A tribute to imagination, creativity, and design, Tampa Bay Automotive Museum is a must-do for car, history, and engineering buffs alike. Kids will find the collection fascinating too. Sunken Gardens is a feast for the eyes. Visitors can expect meandering paths that wind through over 50,000 flowers and tropical plants, and past cascading waterfalls. Because of the fragility of the 100-year-old garden with many of the region’s oldest tropical plants, visitors are asked to stay on the paths, not climb garden structures, not touch plants, and not bother animals. Guests can participate in horticultural classes and demonstrations, or take a garden tour. Self-guided strolls of the gardens are also an option. 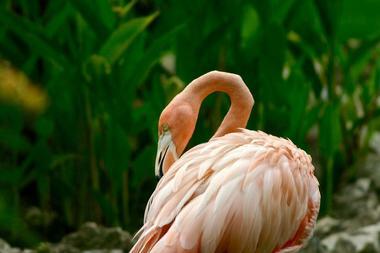 Guests will also want to spend time watching the flamingo flock. Admission is $10 for adults and $4 for children. Parking is free. 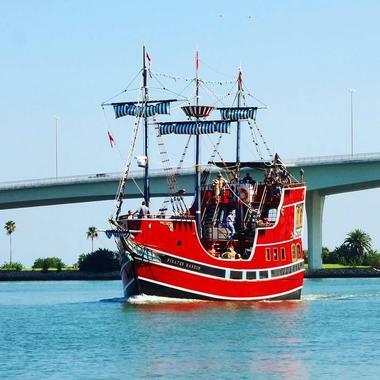 Captain Memo’s bright red Pirate’s Ransom boat with its vibrant blue and white striped sails is the perfect choice for a family-friendly day on the water. Visitors come aboard to lively tunes pouring from the boat’s state-of-the-art surround sound system. The two-hour ocean voyage features pirate antics, a treasure hunt, water gun games, face painting, dancing, and stories, plus some dolphin searching. Cruises glide along Clearwater Beach and head to the Gulf of Mexico. Sunset cruises are also available. Reservations are strongly recommended. Reservations or not, passengers who don’t show an hour before launching may have their tickets resold. Giraffe Ranch isn’t a typical animal theme park or zoo, but rather a licensed working ranch, wildlife preserve, and agritourism business. 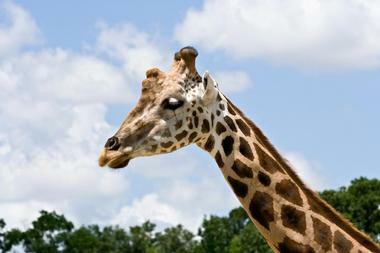 Located on 47 acres next to the Green Swamp, Giraffe Ranch is 45 minutes outside of Tampa, Florida. Four-wheel drive safari tours provide up-close encounters with giraffes, rhinoceros, camels, and pygmy hippos. Other tours may be taken by Segway Safari, Camel Expedition, or Llama Trek. There are also Austrian Haflinger work horses and little Irish Dexter cattle on the ranch. This is an eco-adventure for the whole family. The family-owned operation offers two safari-style tours per day at 11 a.m. and 2 p.m. 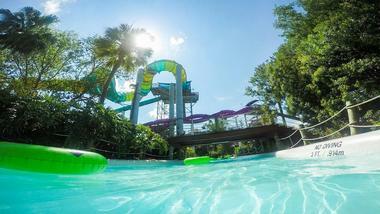 Adventure Island, located north of the famed Busch Gardens, is a SeaWorld waterpark. There are an astounding 10 waterslides, including their newest Vanishing Point, which is a free-fall plunge experience. Waterslides vary in intensity and style, so there’s a splashdown for everyone. 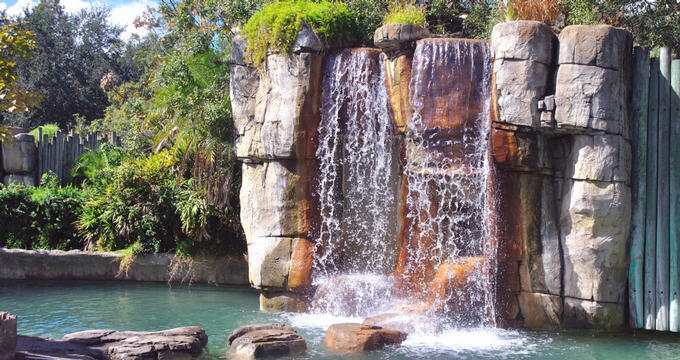 Paradise Lagoon features waterfalls, slides, a pool, and a 20-foot cliff to jump from. Other attractions include Rambling Bayou – a half-mile relaxing tubing trip, Endless Surf wave pool, and Runaway Rapids with five waterslides for little kids. Fabian’s Fun Port and Splash Attack are the park’s two water play alternatives to pools for the littlest guests. Old McMicky’s Farm is dedicated to giving visitors who would otherwise never know anything about farm life, a chance to experience it. 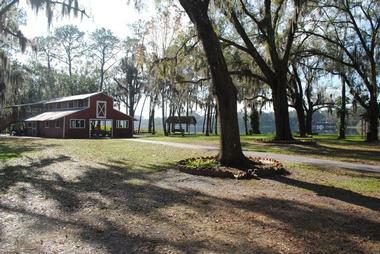 This working farm offers guests guided tours that include a lunch breakk overlooking Crescent Lake (guests bring their own lunches) where they can rest under the shade of old oak trees. Visitors can milk a cow, explore a barn maze, and take a hayride, among other farm fun activities. Old McMicky’s encourages up-close encounters with farm animals, but guests shouldn’t expect a petting zoo environment. It’s an actual working farm that sets aside time to teach about authentic farm life and farm animals. Mini Doughnut Factory is Tampa’s sweet dream come to life. These delightful bite-size mini doughnuts have earned “Best of the Bay” awards every year since opening shop. The tasty treats begin with a classic vanilla cake doughnut coated, topped, and drizzled with an infinite combination of flavors. Gourmet mini doughnuts also come in chocolate and blueberry on weekends. There are even gluten-free and vegan base doughnuts to personalize. 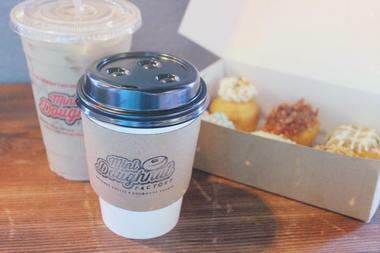 As if the gourmet mini doughnuts weren’t enough, they also serve doughnut shakes and sundaes. Guests can choose from a menu of tried-and-true gourmet doughnuts, or build their own. 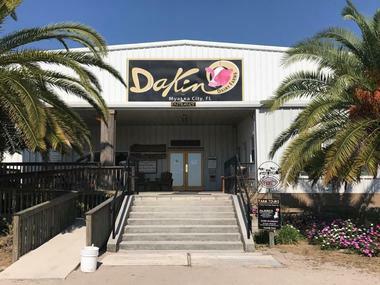 Dakin Dairy Farms is the Sunshine State’s only dairy farm bottling their own milk that’s open to visitors. Their 1,000-acre sustainable, state-of-the-art farm is family run. Their operation has grown to an agritourism destination too. Families can take guided farm tours and hayrides. Kids will love the hay maze, fossil dig, toddler play equipment, Sand Mountain, and sheep and goat feeding. There are supplies and campfires for hot dogs and s’mores by reservation. Farm Market sells Dakin, milk, butter, cheese, and gifts. Farm Market Café serves hot lunches for picnicking on either the front porch or under the pavilion. The market is open year-round and the tourism seasons runs October to June. Croc Encounters Reptile Park and Wildlife Center was originally established in 2005 as a reptile sanctuary for rescues. Over time, it grew to include other unwanted mammals, birds, and reptiles. The family-owned-and-operated facility eventually began providing guided tours and education in 2008. Now, the grounds have been restructured to also allow for safe self-guided tours. Visitors will be able to see crocodiles, snakes, lizards, turtles, tortoises, marine toads, and three types of frogs. Croc Encounters also offers eight educational programs to take a deep dive into everything from Rainforest Reptiles to Venomous Snakes. Self-Guided Saturdays admission is $10. Ninety-minute guided tours are by reservation. Visitors can experience Tampa, Florida, in a whole new way – from Tampa Bay. 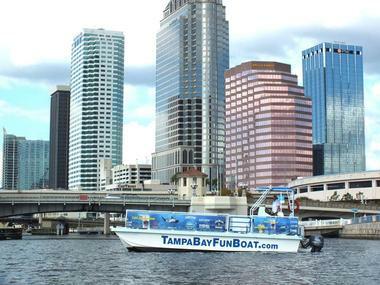 Climb aboard Tampa Bay Fun Boat, a 36-foot deck boat that can carry up to 35 passengers. Hour-long day cruises are narrated experiences featuring Davis Islands, Harbour Island, and historical and cultural highlights. Chance encounters with dolphins and other wildlife are always a possibility. Sunset cruises and night cruises along the Tampa skyline are both popular options. Guests can also arrange for a private charter and choose the itinerary, like a restaurant crawl along the river or a bay cruise. Guests can bring their own cooler of beverages, including alcohol with proper ID. Look for Tampa Bay Fun Boat behind Tampa Convention Center in the marina. Empower Zip Lines is Tampa’s ultimate zipline destination. Their signature experience is a 2.5-hour guided zipline tour. Guests will fly across more than 3,000 feet of line overlooking Tampa Bay and Mobbly Bayou Wilderness Preserve. This is the perfect family adventure, but participants have to be at least 10 years old. The zipline experience includes walking across a 200-foot suspension bridge, an aerial obstacle course, and a rappel at the end. 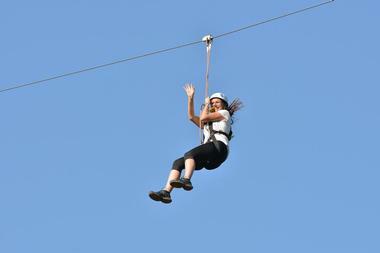 The 30-foot Leap of Faith is another adventure that guests can add to their ziplining. Moonlight Tours are two-hour zipline canopy tours that feature Tampa’s nocturnal side. They feature five ziplines and the suspension bridge walk. Tanya and Matt’s Ice Cream is a Tampa favorite. 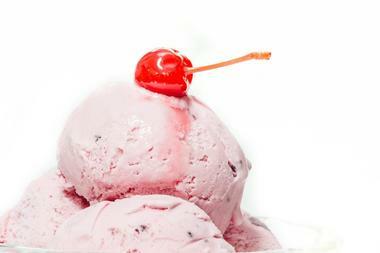 The shop serves creamy homemade ice cream in dozens of flavors made with quality ingredients. Along with the many flavors, there is an equal banquet of toppings to choose from. Guests can order cups, cones, sundaes, floats, shakes, slushies, and smoothies. Besides their outstanding ice cream treats, they also carve epic ice sculptures for events, or even make an event of ice carving itself. The shop does event catering of any size whether it be an ice cream social or a lavish wedding with a full menu and ice sculptures. What kid doesn’t love a good comic book? 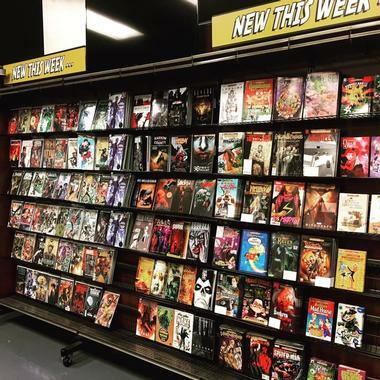 At Uncanny Heroes Comics, families will find everything from new release comic books that are stocked on Wednesdays to collectible level comic books to graphic novels in both hardback and trade paperback. Get the latest Marvel comics, Dark Horse comics, DC comics, and more. Uncanny Heroes partners with Big Redhead Vintage Toys to double the fun. Families will find both modern toys and classic toys like light sabers, action figures, games, mugs, toys, and memorabilia. The store also buys graphic novels, comic books, statues, action figures, toys, and collectibles.